The signing of a new trade agreement between Vietnam and Laos is expected to raise the bilateral trade to US$2 billion in 2015, heard a working session between Vietnamese State President Truong Tan Sang and Lao Party General Secretary and State President Choummaly Sayasone in Vientiane on May 30. The two leaders expressed their pleasure at the sound traditional, special friendship, solidarity and comprehensive cooperation between the two Parties, States and peoples across the fields, particularly in the economy, with two-way trade increasing 24.5% to US$1.4 billion last year. Vietnam is currently one of the biggest investors in Laos with the total investment of US$5.22 billion. 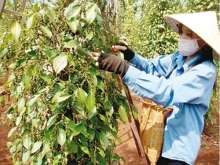 Vietnamese businesses have helped Laos increase labour productivity, State budget, and promote social welfare. The two sides agreed to implement effectively the high-level agreements reached and build on the outcomes of the 37th session of the Vietnam-Laos inter-governmental committee such as increasing delegation exchanges, improving the efficiency of Vietnamese aid in Laos, and signing a Memorandum of Understanding on Vietnam-Laos transport connectivity. They consented to speed up the conclusion of an agreement on border trade of goods and services as well as promptly support Vietnamese businesses to implement investment projects in Laos. The leaders also exchanged regional and international issues of mutual concerns, including the East Sea related ones. They expressed their satisfaction at sound cooperation between the two countries at regional and international forums, and agreed to strengthen collaboration with other ASEAN members to build successfully the ASEAN Community in late 2015. 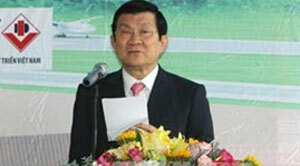 President Truong Tan Sang said Vietnam will support Laos as Chair of ASEAN in 2016. The same day, the Vietnamese State leader visited former State President of Laos Khamtay Siphandone. He also attended the inaugural ceremony of the first phase of a project restoring the historical site of Wathat-Khu pagoda – which is dedicated to King Saysettha. He planted a commemorative tree at a monument in Champasac province in commemoration of Vietnamese and Lao fallen soldiers in the cause of national liberation. 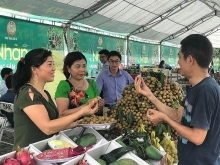 The President also made a fact-finding tour of Attapeu province to examine the efficiency of a hi-tech cow breeding project by Hoang Anh Gia Lai group.